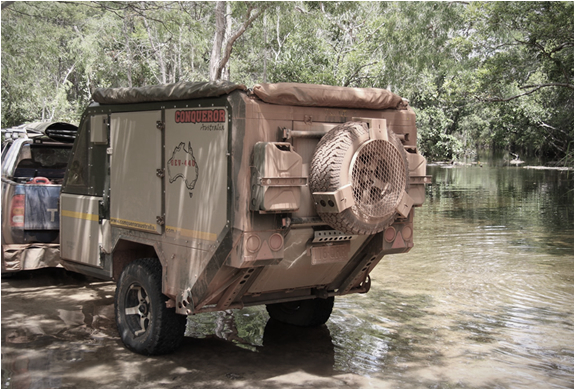 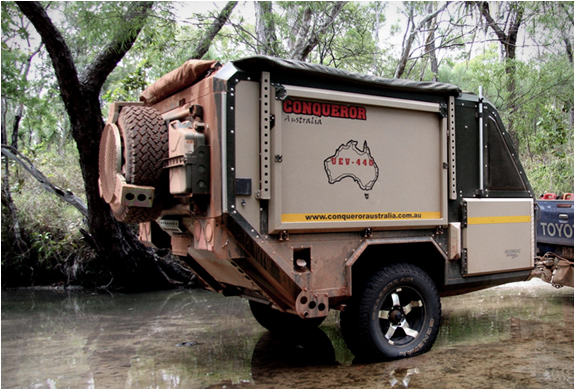 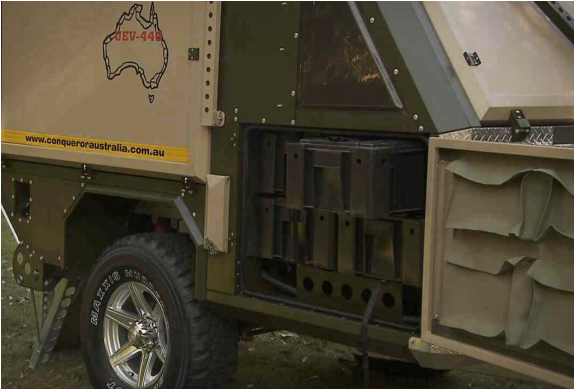 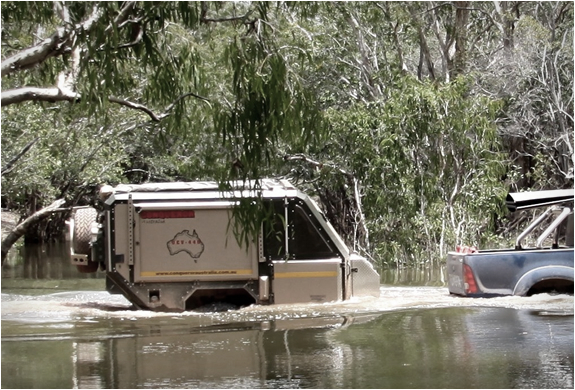 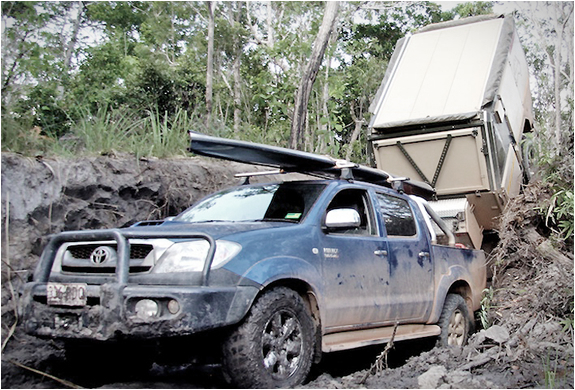 Conqueror Australia have applied 15 years experience in building some of the worlds toughest military equipment into their awesome range of adventure trailers. 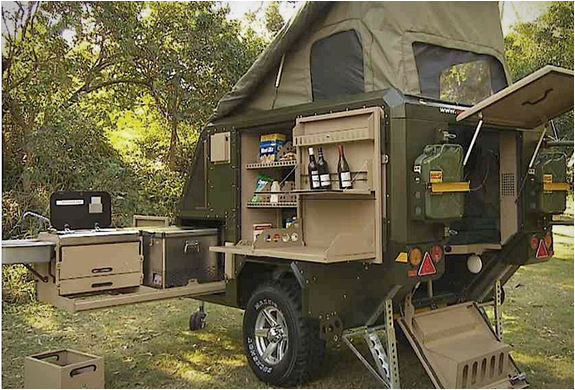 Their Conqueror UEV-440 is the ultimate off-road camper trailer, capable of crashing through the wilderness and crossing rivers, and don´t let the compact and super-rugged look fool you, this thing is packed with plenty of luxurious features, from wine glasses to two-burner stoves and flat-screen TVs, interior heating, AC, microwave, hot shower, fridge and even a DVD player. 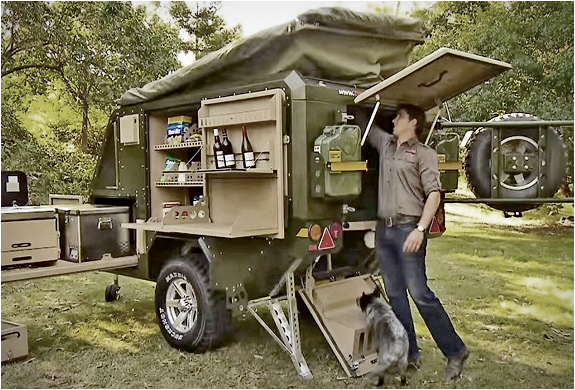 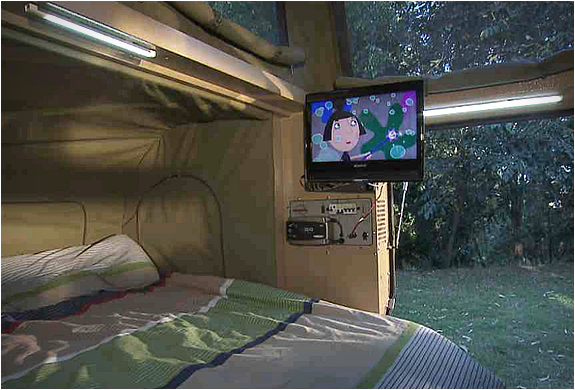 The versatile trailer features several pullouts that cantilever and is capable of sleeping four or more campers. 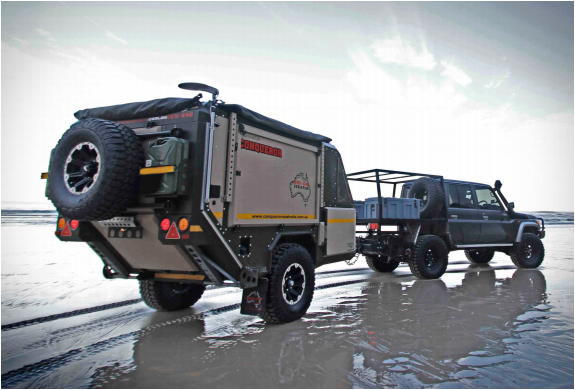 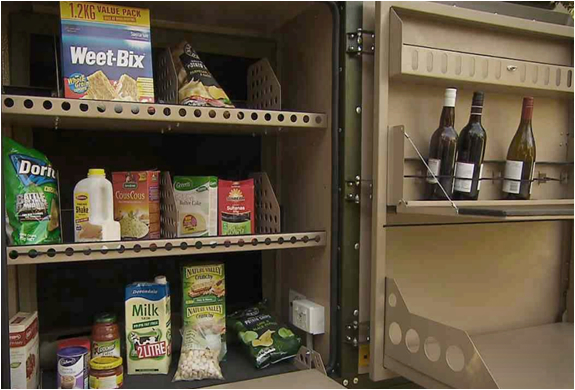 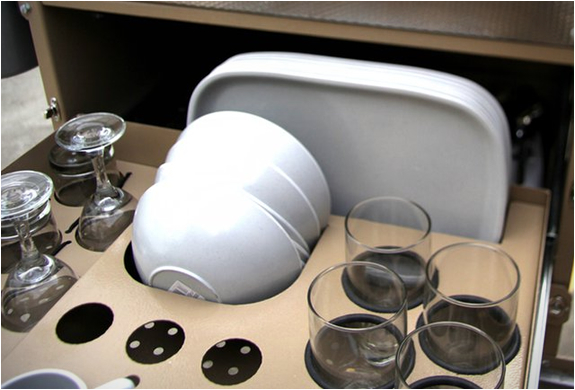 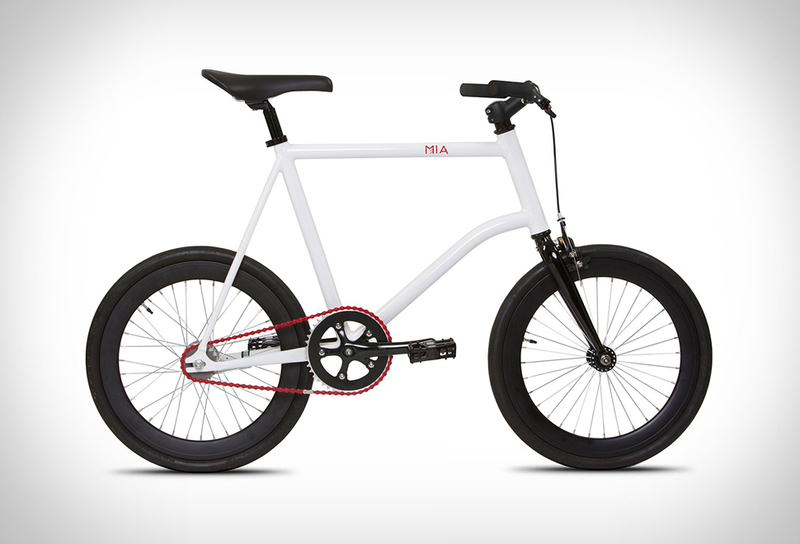 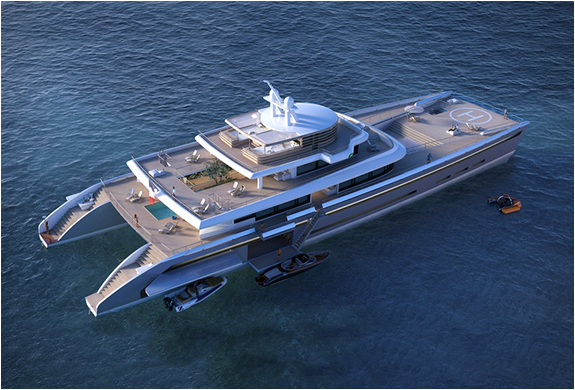 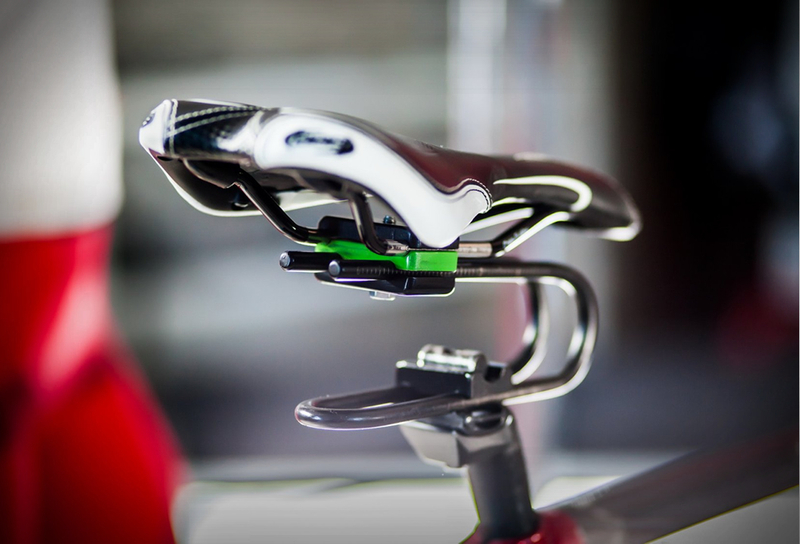 Watch the impressive video of the trailer in action and all its features.